Is any of the two going to be a reality soon? This statement was made by Sergio Marchionne, CEO, Ferrari, to Bloomberg at the 2018 Detroit Motor Show. There is no information that tells us that Ferrari is currently working on a complete electric supercar. 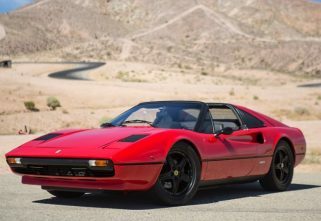 In fact, Marchionne added to his statement by saying that Ferrari would develop hybrid models first and later step into fully electric models. Well, the LaFerrari is one hybrid that rolled out from the Italian’s garage, and we have zero complaints about that. After all, its gigantic V12 and tiny (comparatively) electric whizzers produced 905 horses. Ferrari used its various F1 notes to make the LaFerrari happen. 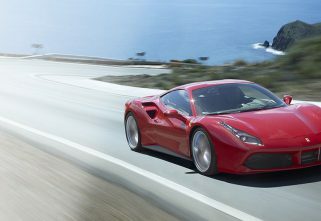 So why spend more time in developing hybrids, Ferrari? You’ve got one right here, and it’s pretty darn astonishing. This war of hybrids started a few years ago and the first one to arrive on the battlefield was McLaren with its P1. Then came the Porsche with the 918 Spyder, followed by the Italians with LaFerrari. And while these chaps were at it, people at Rimac Automobili in Croatia developed the Concept One – a complete electric supercar. And it works. You can watch Richard Hammond crash one during the shoot of the first episode of The Grand Tour – Season 2. Anyway, the electric future of automobile seems to be inevitable, and therefore, we would really like to see proper electric supercars. We wish that soon famous brands would come out with theirs. Meanwhile, it’s being said that to rival Lamborghini Urus, Ferrari is focussing on building an SUV and Marchionne says it will be the fastest one in the market. We can expect it to be out by 2019 or 2020.